Canadian citizens who are current or former residents of NWT are eligible to receive the Order and can be nominated by an individual or organization. A maximum of ten people may receive the order in the first two years and up to three per year in subsequent years. For more information, please review the Territorial Emblems and Honours Act. 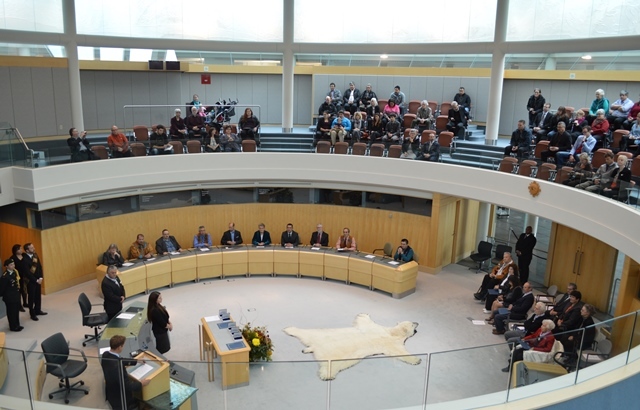 The NWT Honours Advisory Council is a non-partisan committee appointed by the Legislative Assembly to review nominations to the Order of the Northwest Territories and review appropriation to the Chancellor. The members of the Honours Advisory Council were appointed on June 4, 2015 and hold office at pleasure for a term not exceeding three years.